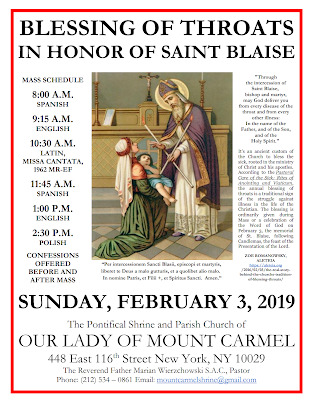 On Saturday, February 2nd, the Pontifical Shrine of Our Lady of Mount Carmel in New York City will celebrate the Purification of the Blessed Virgin Mary with the traditional blessing and distribution of candles, procession and High Mass in Latin, starting at 9am. The faithful are most welcome to bring their own candles to be blessed. 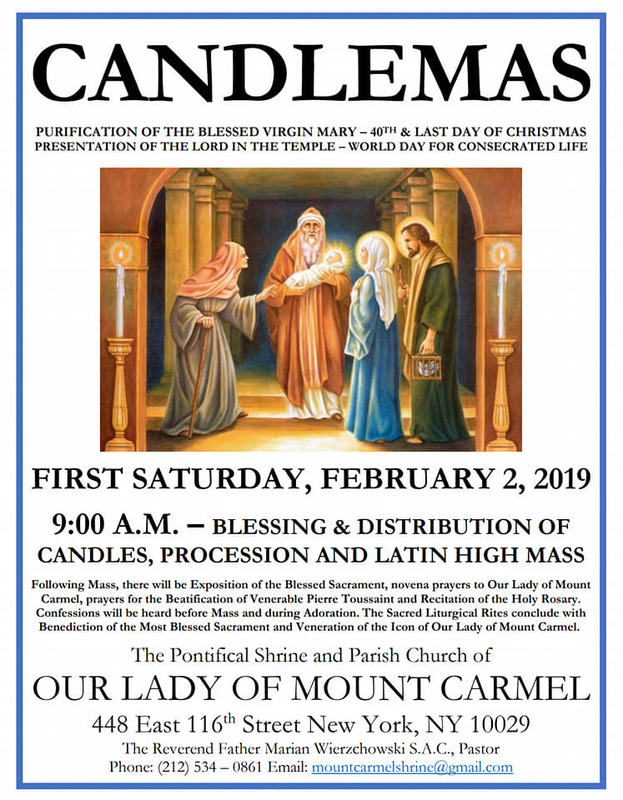 Following Mass, there will be exposition of the Blessed Sacrament, novena prayers to Our Lady of Mount Carmel, prayers for the beatification of Ven. Pierre Toussaint, and the recitation of the Holy Rosary. The rites will conclude with Benediction, and veneration of the icon of Our Lady of Mount Carmel. 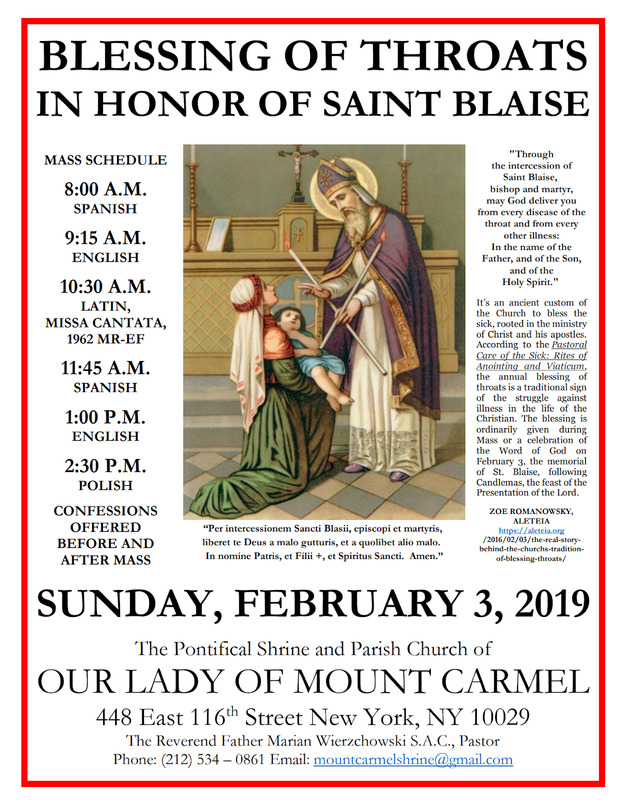 Confessions will be heard before Mass and during Adoration. The church is located at 448 East 116th St in Manhattan.